Fathom enables you to undertake your own proprietary benchmark studies. A benchmark group is a peer group defined for the purpose of comparative analysis. Typically this represents a franchise group or a group of related companies. For advisors, a benchmark group may represent a group of clients which operate in a specific industry vertical (ie. retailers). A benchmark group may also represents all the clients of a firm. 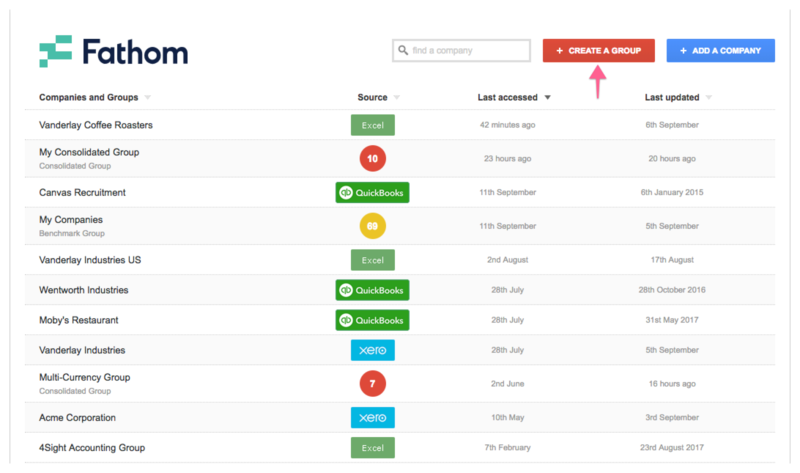 To create a benchmark group, go to 'Create a group' > 'Create a benchmark group' located in the 'My Companies' screen. Note: you can create as many benchmark groups as you wish. A company can exist in multiple benchmark groups. 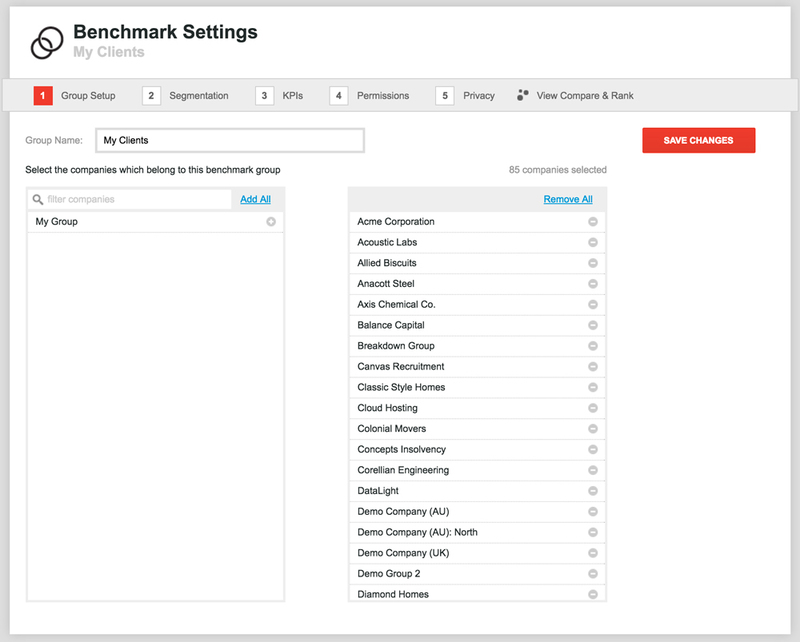 You can access the setup for your Benchmark groups in the 'My Companies' screen. Simply click the 'Setup' button (the cog icon) next to the Benchmark group. Within the Setup, you will be able to edit group segmentation and set up access permissions. After configuring the group, you can access the compare and rank tools for quick analysis, selecting which metrics you would like to display, and how you would like to sort and present the comparison. When you have finished adding companies to a benchmark group, please proceed to ‘Step 2’ of the benchmark group setup.